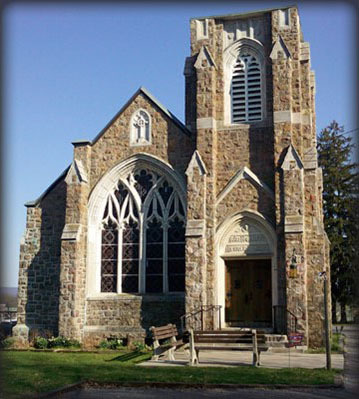 We invite you to join us at our chapel next to the Kutztown University campus to worship our magnificent risen Savior, the Lord Jesus Christ. We seek to know God better, and to love Him more. We believe that God is the most wonderful, magnificent Being in the universe, and that truly knowing Him is the most important thing in life. God created us to know Him and have a deep and meaningful relationship with Him. This genuine relationship with God is the ultimate purpose for our life, and the only way to conquer our sin and find true and everlasting peace. God loves us so much that He sent His own Son, Jesus, into this world to restore us to God. So come and join us in the journey to get to know Jesus better– HE is worth it! Getting to know God’s Son, Jesus, is the key to knowing God. We believe that Jesus is both completely God and completely man, and that He came to earth to rescue us from our alienation from God and restore us to a genuine relationship with Himself. Jesus lived a perfect life on our behalf and then willingly died in our place, taking the punishment for all our wrong-doing, so that we can be forgiven and have a relationship with God. When we simply trust in Jesus and what He has done for us, God welcomes us into His family and we receive a new life in Christ. For over thirty years, our diverse group from the Berks community and neighboring university has met for Sunday morning services and mid-week meetings, and we would love to welcome you. Feel free to also contact us here through our website, listen to our sermons, or read about our mission, vision, and Bible-centered beliefs. For more information regarding our denomination, visit the BFC website.